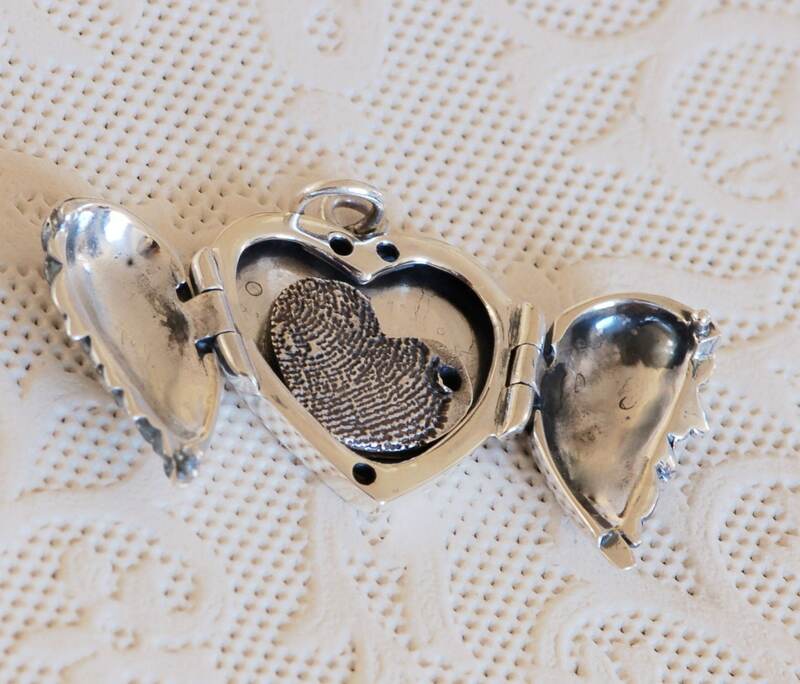 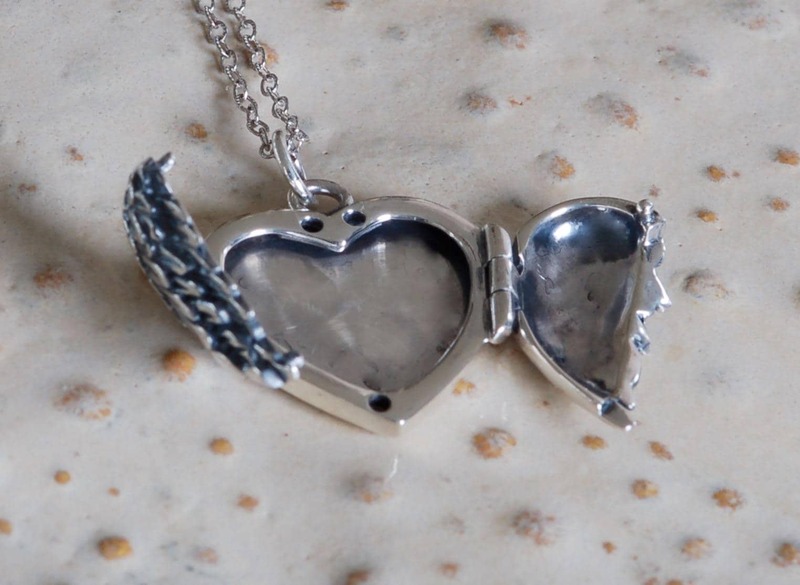 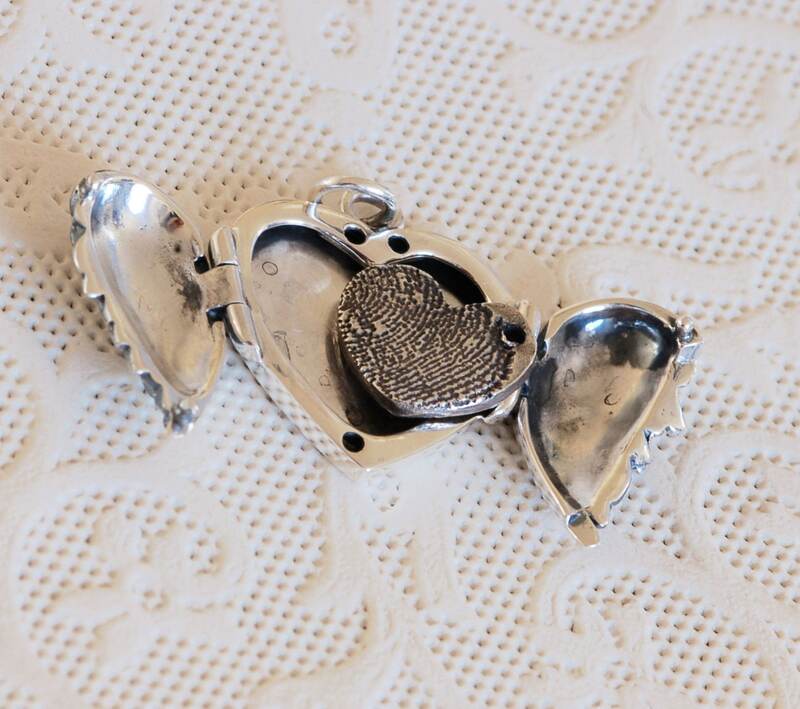 Send a jpg image of fingerprint or writing that I can transfer to a heart insert to place in the locket. 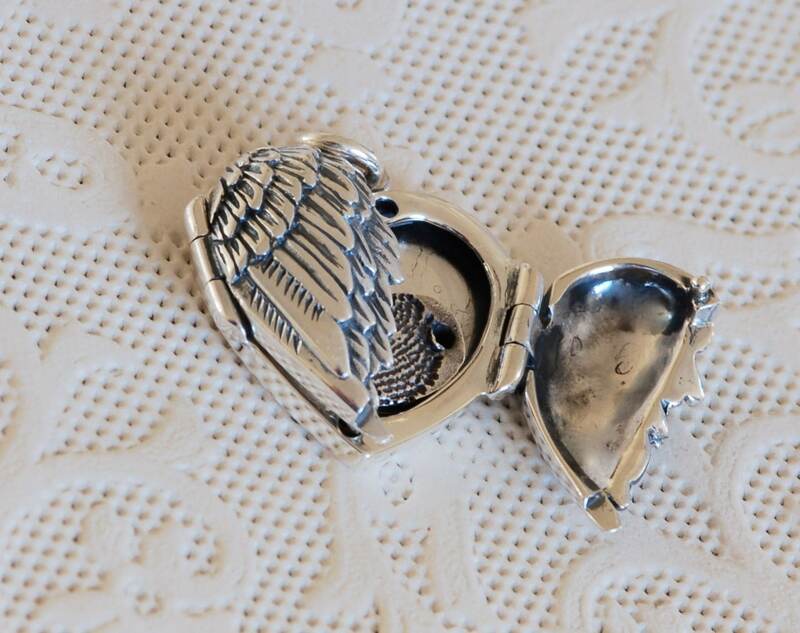 I can put a hole in the insert charm or leave it solid, without a hole. 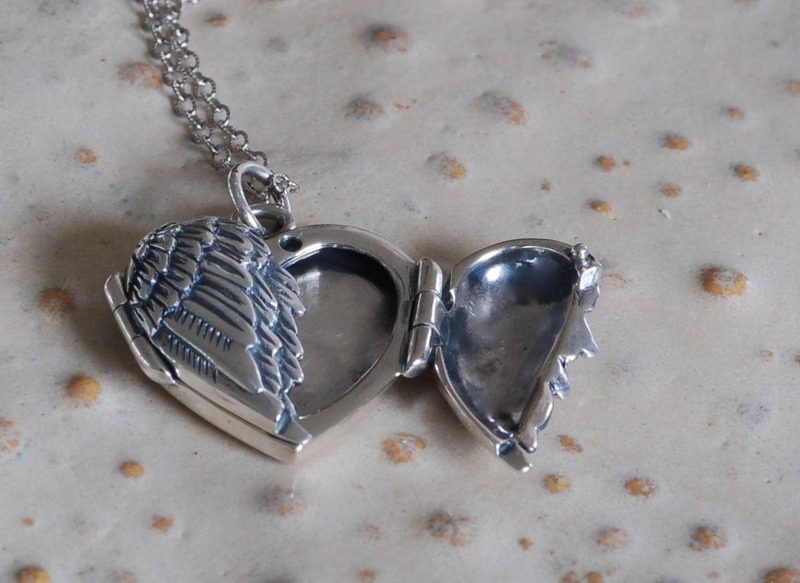 The hole allows you to wear as a charm on a separate necklace. 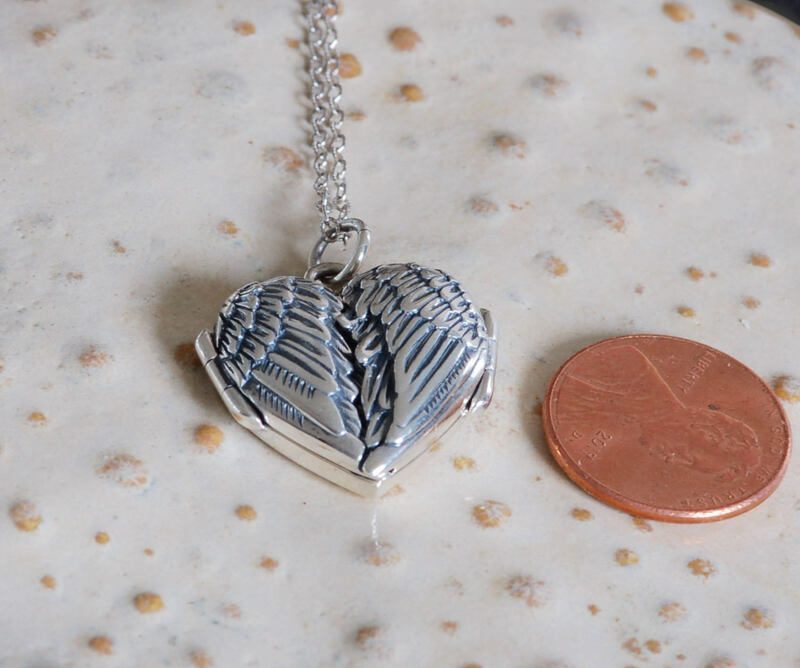 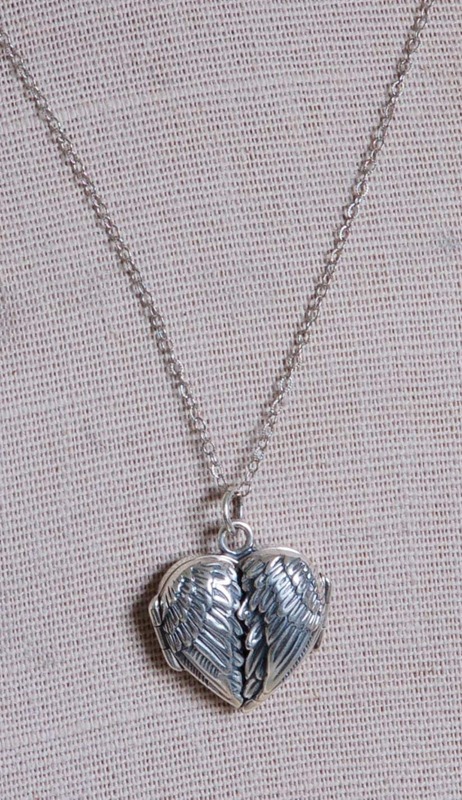 This beautiful Angel wing locket is made of genuine 925 Sterling Silver. 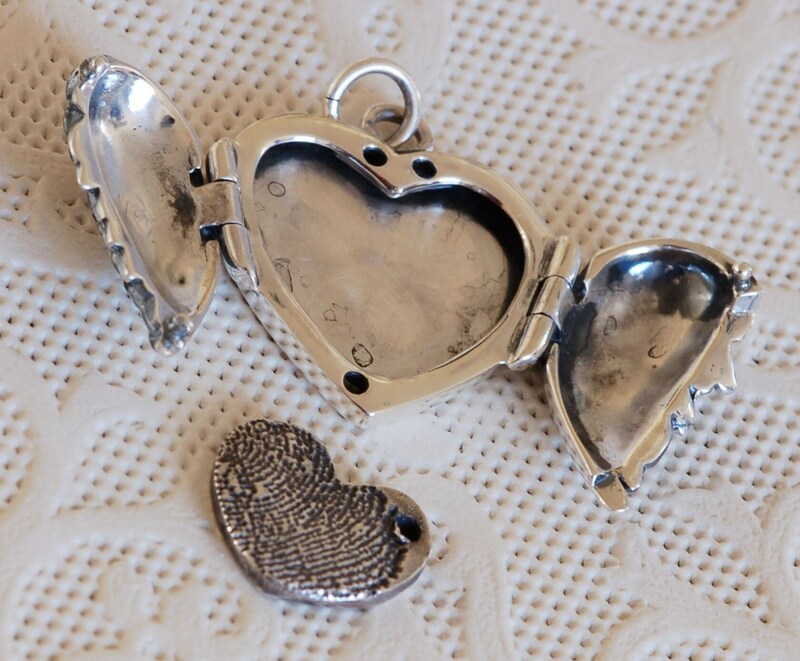 Last photo shows locket, which is available in 14k gold vermeil. 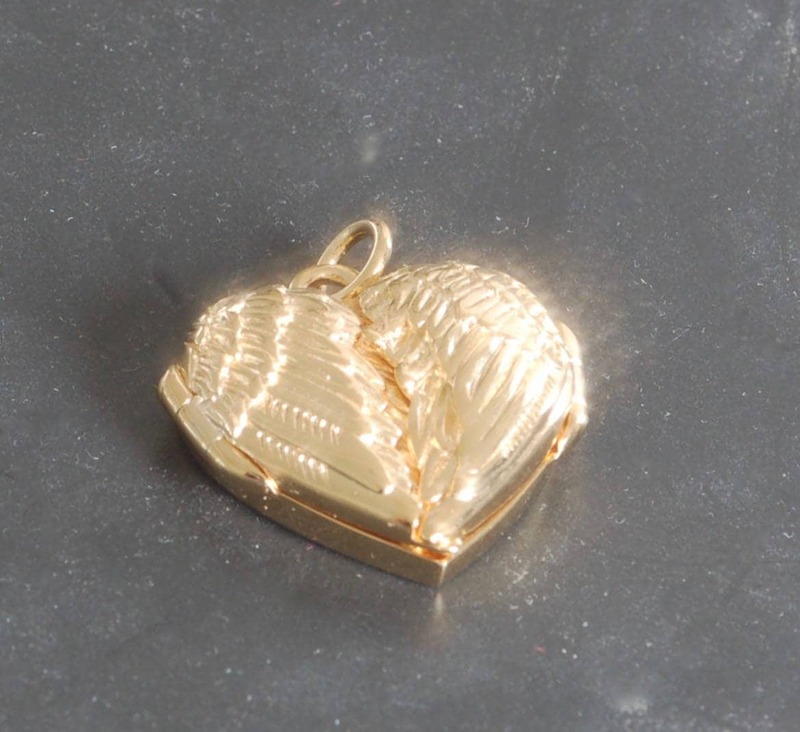 Choose gold filled or 14k gold chain.